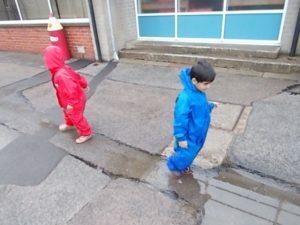 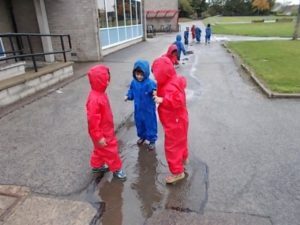 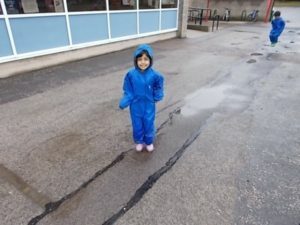 This week in nursery we made the most of the rainy weather and put on the puddles suits and our welly boots to jump in muddy puddles. 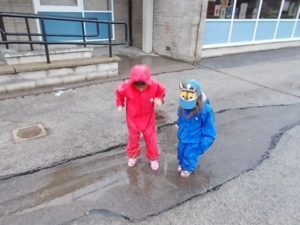 We joined P1 at the library to choose new stories and listen to one too. 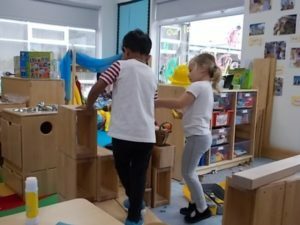 We had repairs to do in nursery after a crash with the cars that we made. 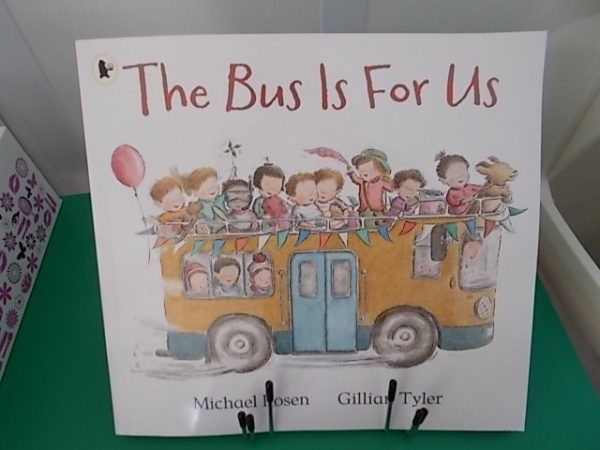 Our book of the week was ` the bus is for us`.